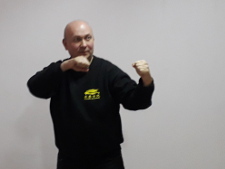 Yiquan is a kind of kung-fu, which particularly stresses the use of awareness and mind activity in training, developing perfect mind and body coordination, revealing the natural human potential. You will find here a fascinating learning process, method of nurturing health and combative training. 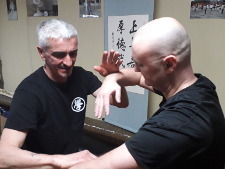 Yiquan Academy seminar was organized in Florence, Italy. Yiquan Academy seminar was organized in Lubartow, Poland. Yiquan Academy seminar was organized in Brno, Czech Republic. Yiquan Academy training with master Yao Chengguang was organized in Beijing, China. The stress in this art is put on mind, feeling, training the natural strength. Generally it can be said, that it is developing the feeling of interrelation between body and surrounding air. Talking more about details, it can be said that the basis is following the principles of nature, developing roundness of feeling and square strength at the same time, when form is curved, but the force straight, when there is no fixed proportion between empty and full, you are developing the ability of using alive force according to situation, based on feeling.